ATLANTA (Feb. 1, 2019) – Robert Bruce, MD, and Nicholas Fletcher, MD, two pediatric orthopedic surgeons, have joined Children’s Physician Group–Orthopaedics and Sports Medicine at Children’s Healthcare of Atlanta effective today, Feb. 1, 2019. Dr. Bruce and Dr. Fletcher previously practiced at Emory Pediatric Orthopaedics for 24 years and 9 years, respectively. Children’s Physician Group–Orthopaedics and Sports Medicine, one of the largest and most experienced pediatric orthopedic and sports medicine practices in the country, is dedicated to the care of children, adolescents, young adults and young athletes with a wide range of orthopedic and sports medicine conditions and injuries. 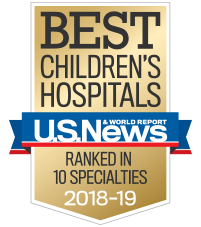 Children’s Physician Group–Orthopaedics and Sports Medicine offers physician specialization and experience, pediatric expertise and increased access to care. With the addition of Drs. Bruce and Fletcher, who are also faculty members of the Emory University School of Medicine’s Department of Orthopaedics, Children’s Physician Group–Orthopaedics and Sports Medicine has grown to 20 physicians strong. Additionally, the number of clinics has expanded to 14 locations in 10 counties across Georgia. Dr. Bruce, who specializes in pediatric neuromuscular conditions, is the Medical Director of the Neuromuscular Program at Children’s. Dr. Fletcher, Medical Director of Spine Program Quality and Outcomes, will apply his extensive research in the field of spine disorders to ensure Children’s continues to provide the highest quality spine care. Children’s Physician Group-Orthopaedics and Sports Medicine also welcomes the addition of Denise Coultes Beuret, FNP-C, Joshua Myers, FNP-C, and Tracy Ruska, CPNP-AC. Drs. Bruce and Fletcher will see patients at the Center for Advanced Pediatrics (1400 Tullie Road NE) and in Macon at the Piedmont Orthopaedic Complex (4660 Riverside Park Boulevard). To learn more or schedule an appointment, visit choa.org/cpgortho.